The Primary Peach: Fall Favorites and a GIVEAWAY! This is such a beautiful time of year!!! 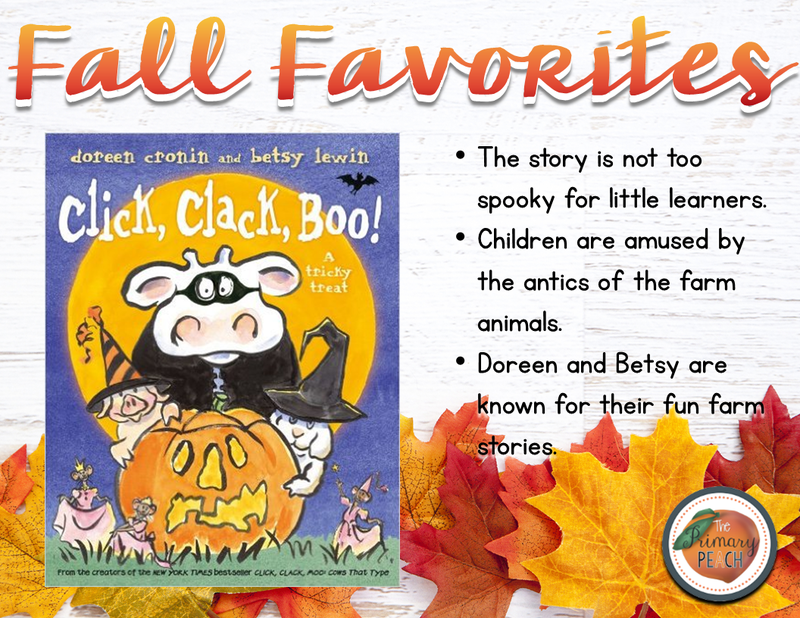 Since Fall is a FAVORITE of ours here at the Primary peach, we thought we would put together a post of our favorite books for the fall! Do you want a FREEBIE for this book? Mandy created a freebie for this book- it has activating and previewing strategies!! You can snag your freebie here! 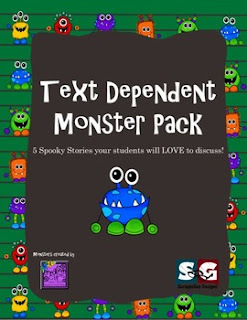 Are you looking for some text dependent questions for this book and several other spooky favorites? You can pick up this pack from Gary here. And stay tuned- he has a great blog post coming up about text dependent questioning here on the Peach on Sunday! 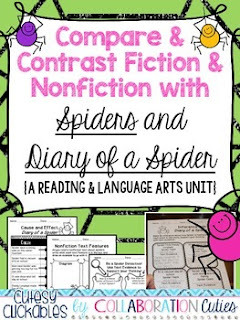 Collaboration Cuties also wrote this incredible pack comparing fiction and nonfiction for both of these books. It is jammed PACKED with all kinds of standards based fun! Check it out here! 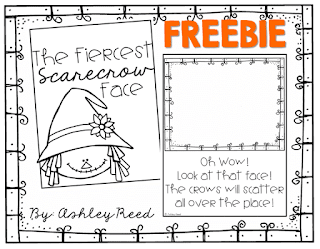 Looking for an adorable FREEBIE to go with this book? Ashley has created a template for a class book! You can get it here FREE! 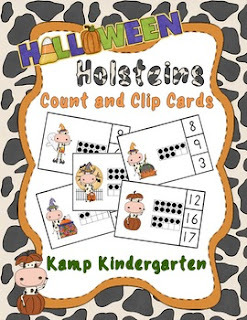 Tami also has the Halloween Holsteins Count and Clip Cards (the name is hysterical to me for some reason! Love it!) that are perfect way to integrate math centers! You can snag them here! 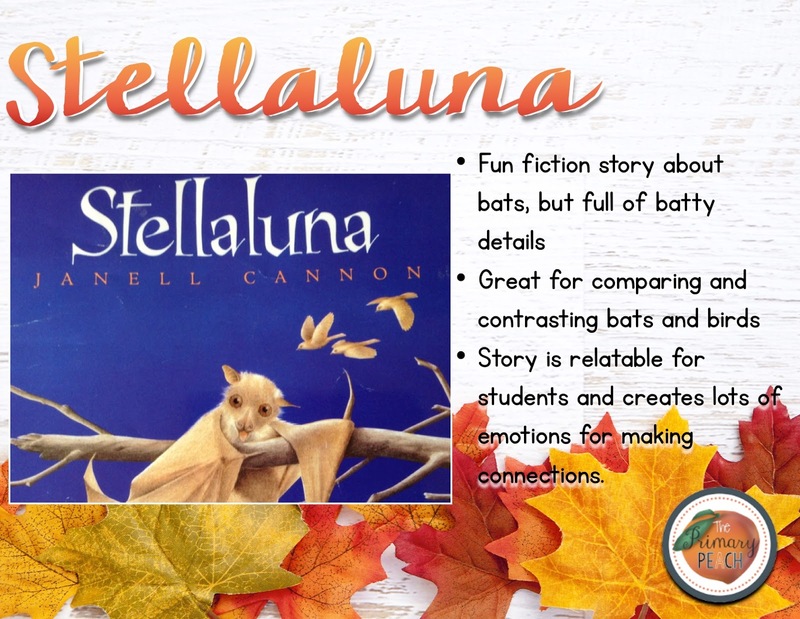 Are you looking for a fun, interactive way to teach this book? You may be interested in lap books! 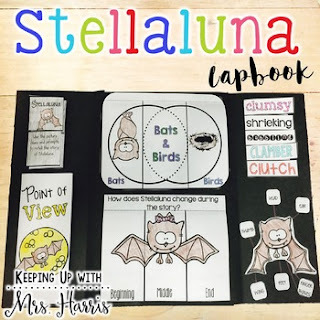 Meghan has this adorable lapbook for Stellaluna (and many others)! The fun is not over yet! Would you like to purchase some of these fall books or ANY books off your wish list? We can help! Just enter below to win a $30 Amazon Giftcard!